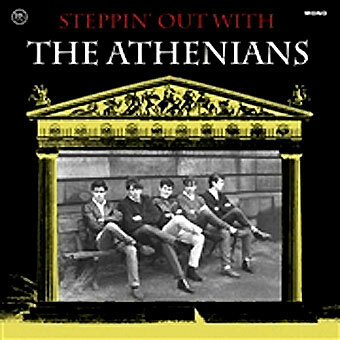 The most popular and productive line-up of the Athenians beat group came together in Edinburgh in late 1963 and comprised Rick Alcorn ( Bass), Ally Black ( Guitar), Keith Henderson ( Guitar), Arthur Mackey ( Drums) and Ian Orr (Vocals). After a deep delve into the catalogues of Sue, Chess, Atlantic, Motown etc. a pretty sassy outfit became the exponents of some very acceptable R&B/ Rock. 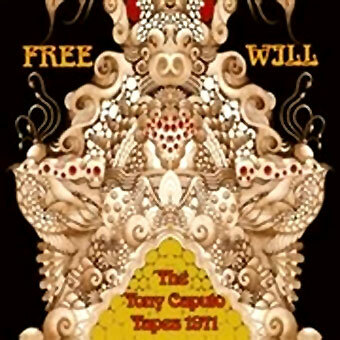 Having now acquired a fan club, a manager and a large following, the band were playing seven nights a week, two of these as residents of the famous Gamp Club, allegedly their second home. Although only part-time, they were relishing their situation especially the attention coming from the student fraternity at Edinburgh University and soon they'd be performing with Manfred Mann, The Hollies, The Animals, The Pretty Things, Diana Dors (what?) and many, many more. 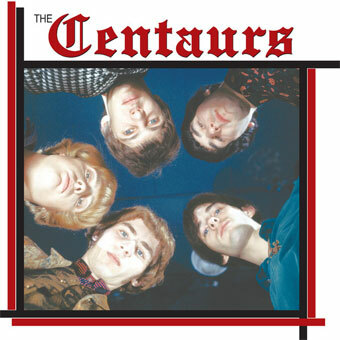 The University connection was to introduce them to their first taste of recording as a request was made to cut a single to promote the Charity Appeal for that year. Entering Craighall Studios in early Feb. 1964 tracks 'You Tell Me/ Little Queenie' are produced and released in all their glory (It has now been confirmed by rock historians/pundits that this record is the first 7' Single to be released by a Scottish beat group). The Wah Wah edition compiles the bands' 45s plus previously unreleased recordings from surviving acetates - if you love bands such as The Rolling Stones, The Kinks, The Yardbirds, bluesmen like Slim Harpo or Lazy Lester and also the soulful sounds of acts like Ike & Tina Turner or Ben E. King this LP is for you! In a strictly limited edition of only 500 copies, remastered by Roger Prades @ Prades Mastering and housed in new vintage styled artwork in a three backflaps sleeve. Το προϊόν αυτο προστέθηκε στον κατάλογό μας την Friday 08 March, 2019.